Additional Description: The original owners of the Burt-Stark Mansion. 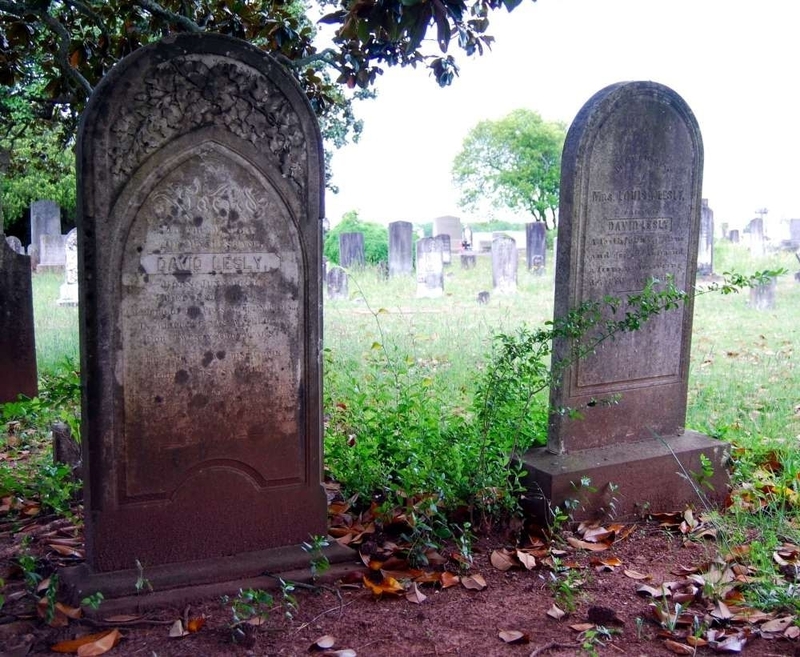 David Lesly (1797-1854), tombstone on the left; Louisa (no dates but age 65 at death) on the right. David Lesly inscription reads: "A member of the Presbyterian Church in which he was an elder for twenty-two years. The Bible was his guide, Christ his salvation."